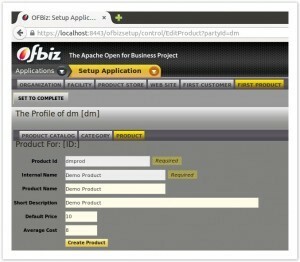 Are you up for the DIY Apache OFBIz challenge? 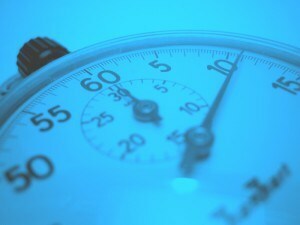 Create your e-commerce store in under 15 minutes! 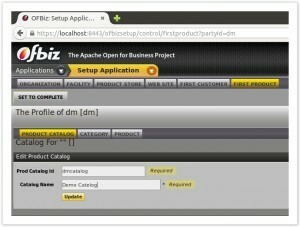 Up for a DIY Apache OFBiz challenge? 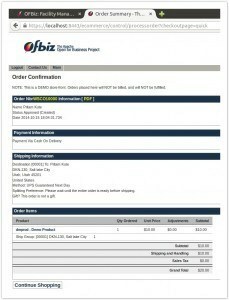 Today’s HotWax DIY project will empower you to set up an e-commerce store (simple out-of-the-box, single product and category) in 15 minutes or less, using OFBiz Setup Wizard. To get started, be sure JDK is installed on your computer. Ensure computer has JDK 1.6 installed. Download Apache OFBiz 13.07 from here. Unzip the downloaded file and place it in a location of your choice. 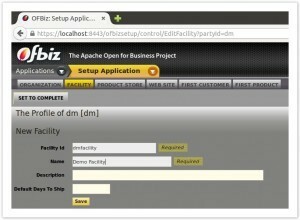 Start Terminal and go to the home directory of Apache OFBiz. Type command ‘./ant start’ to start the server. This command builds the application and prepares it for the setup process. You will see a form to ‘Create New Organization’. 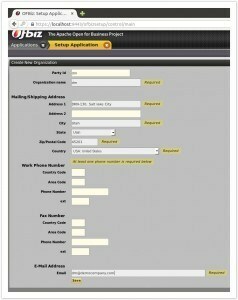 Fill-out the form by providing the required organization details. Note:Make sure party ID field value is not be more than 7 characters. Click on the ‘Product Store’ menu item and enter store name. Click on the ‘Website’ menu item and submit the form after entering details. Click on the ‘First Customer’ menu item and enter the details for a customer. Remember the username and password you entered. Click on the ‘First Product’ link and provide details about catalog, category and product. After completion of all of the above steps, now click to ‘Set To Complete’ link. This will redirect you to the catalog component. Use username=admin and password=ofbiz to login into the catalog application. Go to https://localhost:8443/catalog/control/FindProduct and search for your newly created product. Click on the product link and go to the Inventory section of the product by clicking the ‘Inventory’ link. 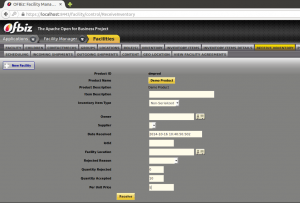 Click on ‘Receive Inventory’ and enter the value for ‘Quantity Accepted’ and ‘Per Unit Price’ fields. Login into the E-commerce store using customer credentials created above. Add products into your cart and complete the one page checkout process. Just follow these quick steps to setup your store and enjoy exploring your OFBiz store. To find out more about OFBiz, please get in touch with us. Thanks for your time! Congratulations on creating your new e-commerce store! This exercise yields a single product and category — to add more products and categories, use the catalog component ( http://localhost:8080/catalog/control/main) of OFBiz. Don’t miss our next post: Find out what happened when we load tested Apache OFBiz 13.07 against a 1,000 OPD scenario. →Give HotWax Media a call for expert design, implementation, and support of your enterprise OFBiz system.